CAPE CANAVERAL, Fla. (Reuters) - Elon Musk's SpaceX plans to resume flying rockets next week following an investigation into why one of them burst into flames on a launch pad four months ago, the company said on Monday. In a statement, SpaceX said it expected to launch a Falcon 9 rocket from California's Vandenberg Air Force Base on Jan. 8 to put 10 satellites into orbit for Iridium Communications Inc.
SpaceX had suspended flights after the same model rocket went up in a blaze on Sept. 1 as it was being fueled for a routine pre-launch test in Florida. The explosion at Cape Canaveral Air Force Station in Florida destroyed the $62 million rocket and a $200 million communications satellite. Space X, owned and operated by Tesla Motors Inc. Chief Executive Officer Musk, has a backlog of more than 70 missions for NASA and commercial customers, worth more than $10 billion. The company statement said that accident investigators concluded that a canister of helium inside the rocket's upper-stage oxygen tank had exploded. In the short term, SpaceX plans to revamp its fueling procedures so that the super-cold liquid oxygen will not build up between the helium tank's liner and its outer covering, it added. SpaceX said accumulation of oxygen in a void or buckle in the liner most likely led to the explosion. "In the long term, SpaceX will implement design changes to the (helium canisters) to prevent buckles altogether," the statement said. The company did not say when new helium canisters would be ready to fly, but that using warmer temperature helium and a slower fueling operation will prevent them from bursting. 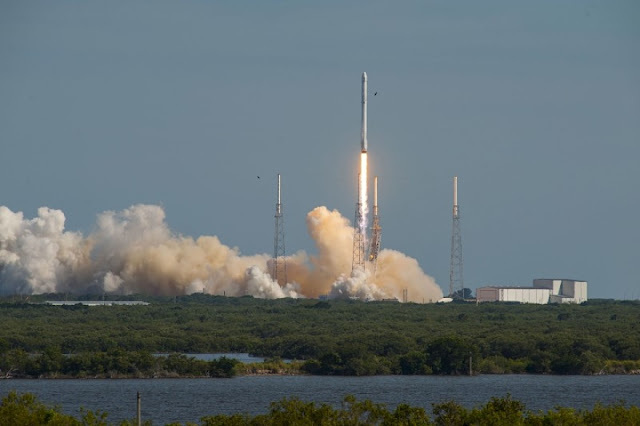 "Iridium is pleased with SpaceX's announcement on the results of the September 1 anomaly as identified by their accident investigation team, and their plans to target a return to flight," company spokeswoman Diane Hockenberry said in a statement. SpaceX has not said how much damage the Sept. 1 accident did to its primary Florida launch pad, nor when a new second pad in Florida, located at NASA's Kennedy Space Center, will be put into service.